The all-star basketball hoop and hamper made of durable, high quality construction! It's simple to use and fits on any door. It comes with removable laundry bag. 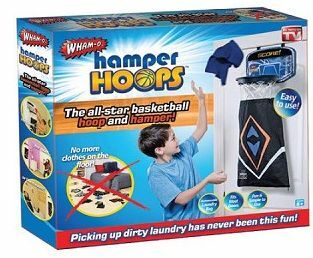 It will make picking up laundry fun.